But we certainly do have a very good idea of what gives our body the best potential of healing, and one of those tools is a vegan dietary program, combined with detoxification and certain supplements and practices that assist the healing process. This type of regime is one that we explore and experience at the Embracing Life! Retreats. 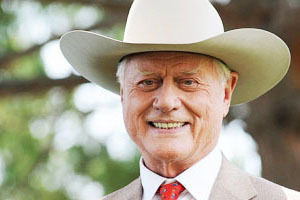 “As J.R. Ewing, he was known the world over for dodging that bullet. Now, veteran star Larry Hagman believes he is well on the way to surviving a life-or-death battle of his own. The actor has spoken for the first time about his struggle to survive cancer, revealing that he has overhauled his life to fight the disease – becoming vegan in the process – and that his doctors are delighted with the response so far. I’m feeling great and I’m back on track. I’ve finished treatment and the doctors are thrilled with my progress,’ he said. My outcome looks very positive. It’s my firm intention to whop cancer into submission and I truly believe I’ve given myself the best start possible by radically overhauling my diet and by staying true to my motto, which is: Don’t worry, be happy, feel good.